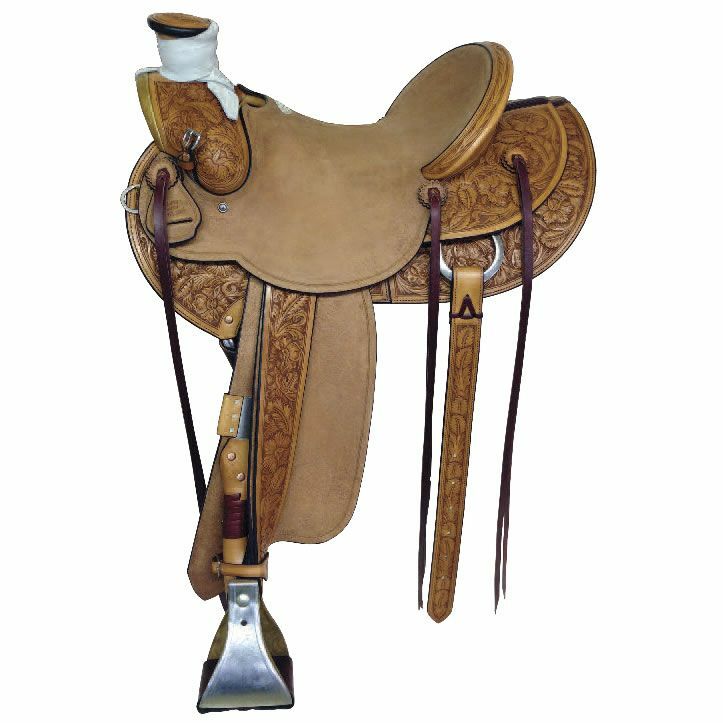 FINISH: ¾ Pin Wheel basket stamp (Not shown in the pattern options in the Catalog) and rough out, Shown with Nevada Style stitched Bucking Rolls, Rawhide Covered Hobble ring, Stainless hardware and Monel Covered Stirrups Straight up cantle with regular binding, 7⁄8 inskirt rigging, regular round skirt, shown with Nevada style stitched bucking rolls. 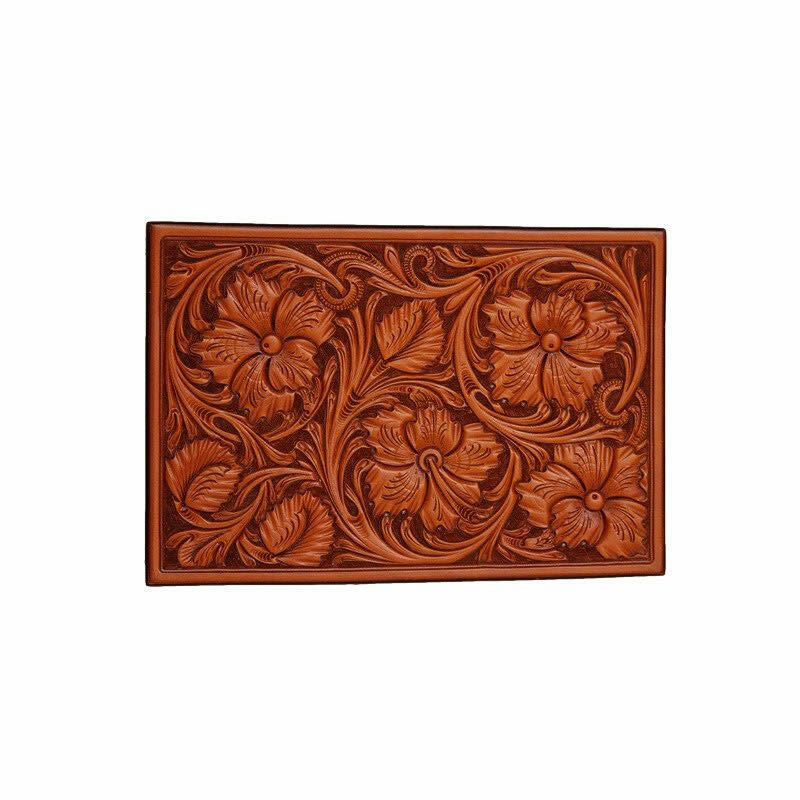 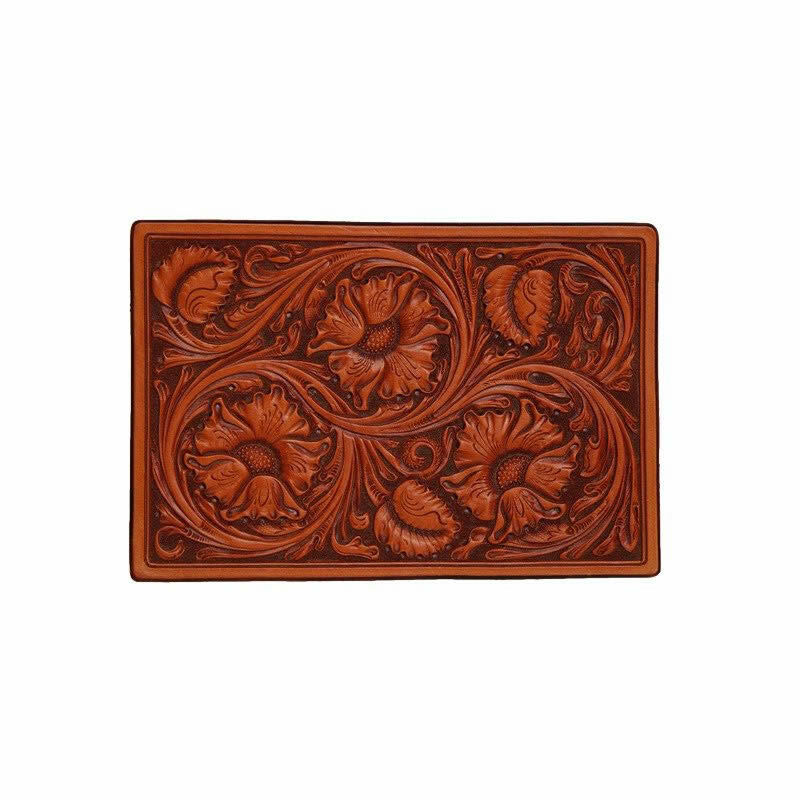 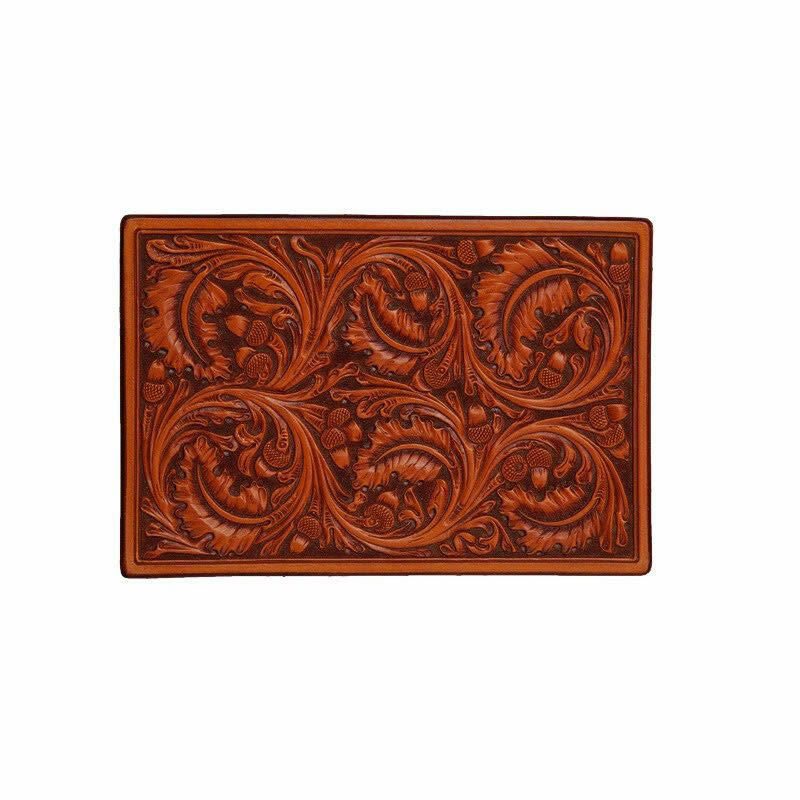 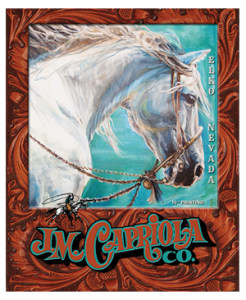 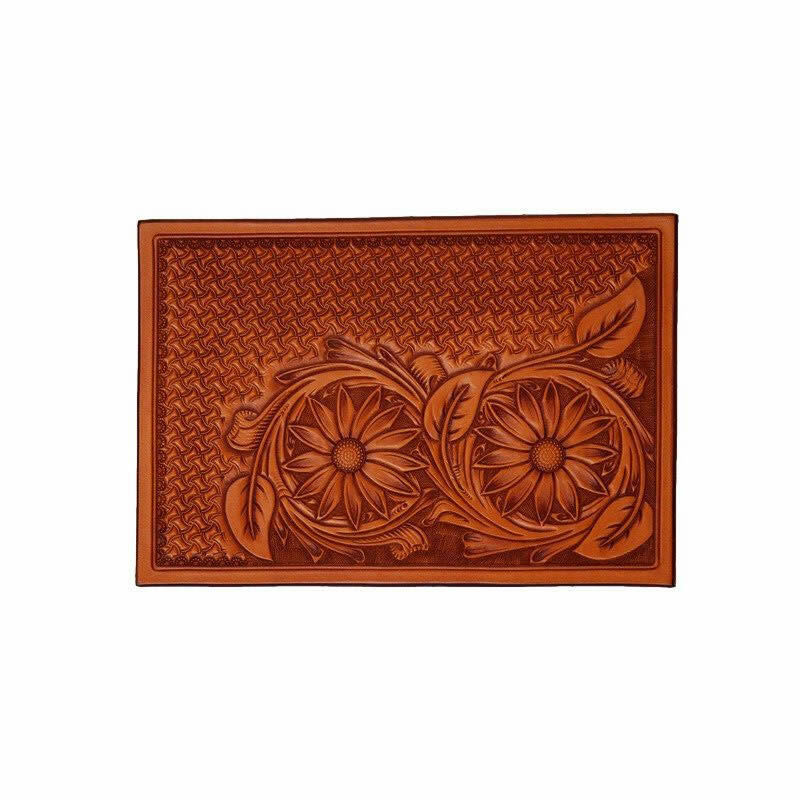 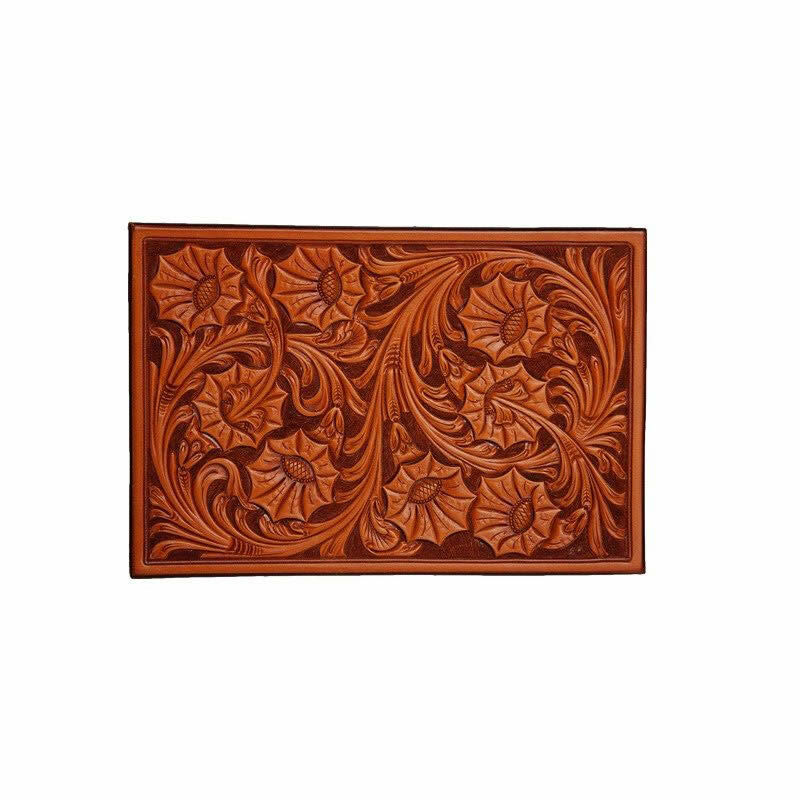 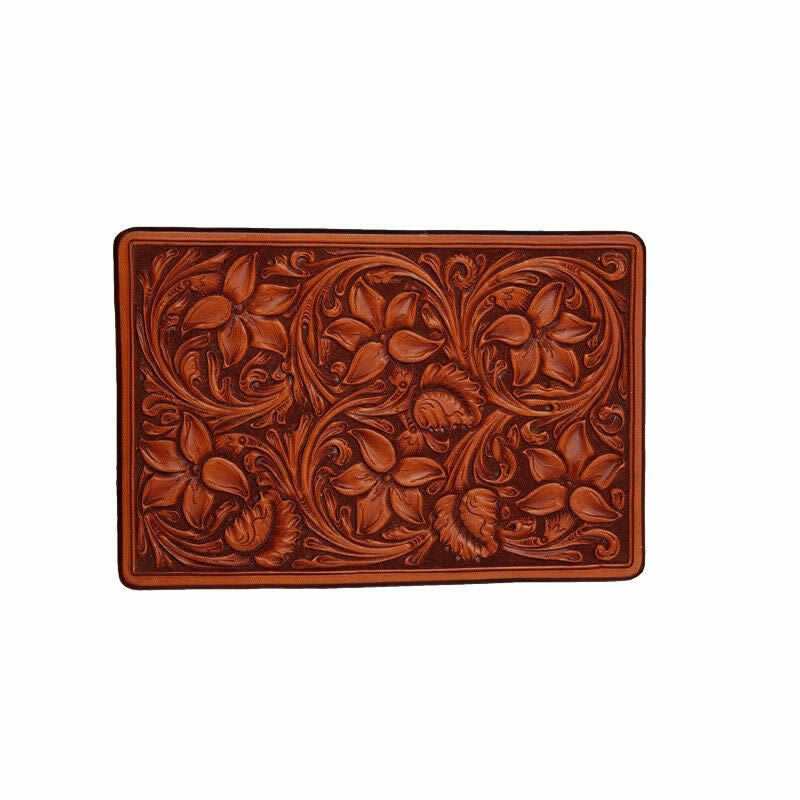 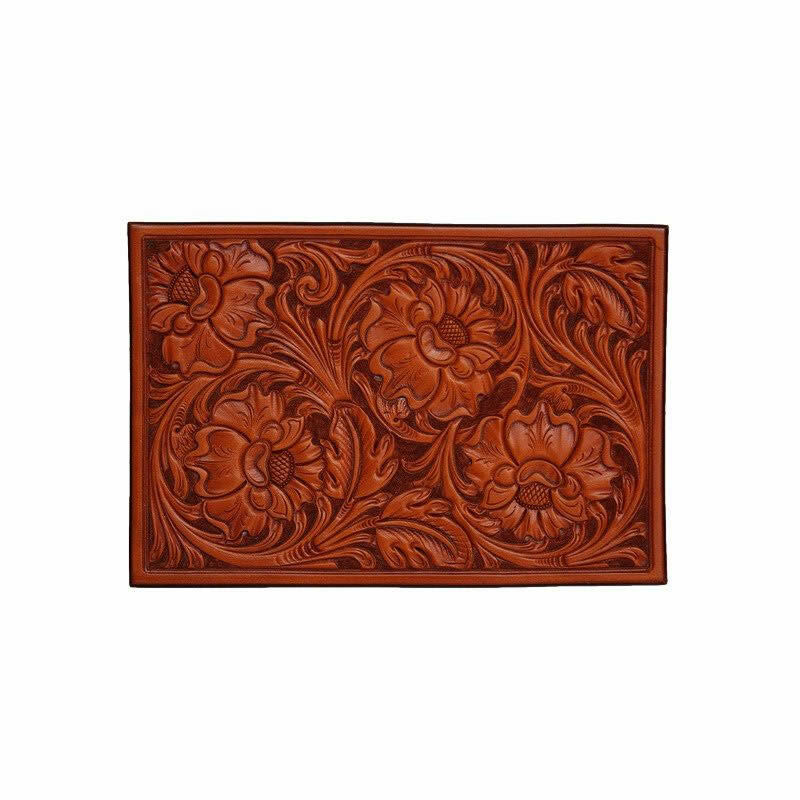 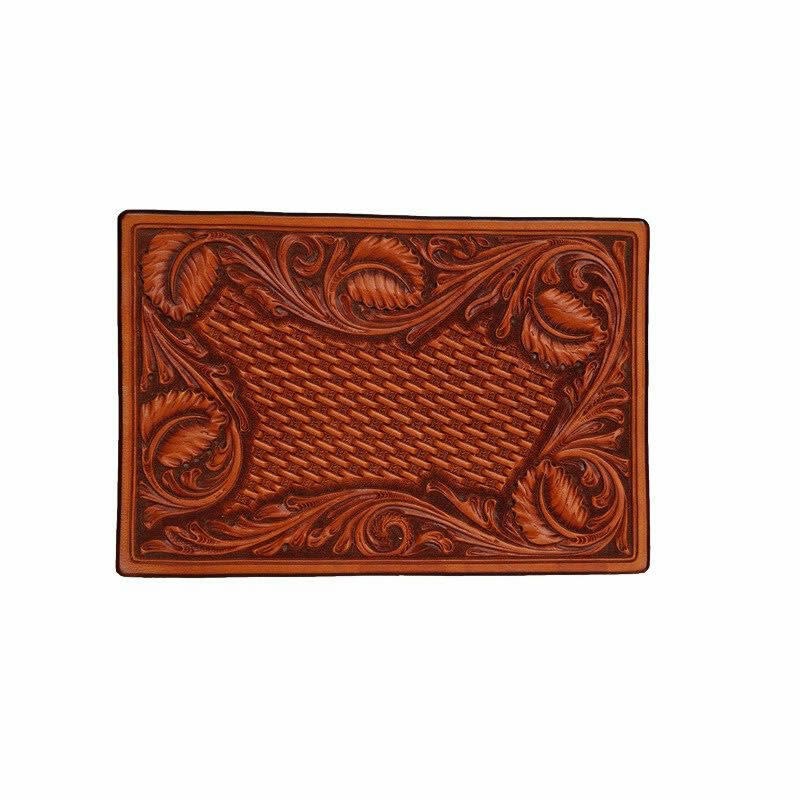 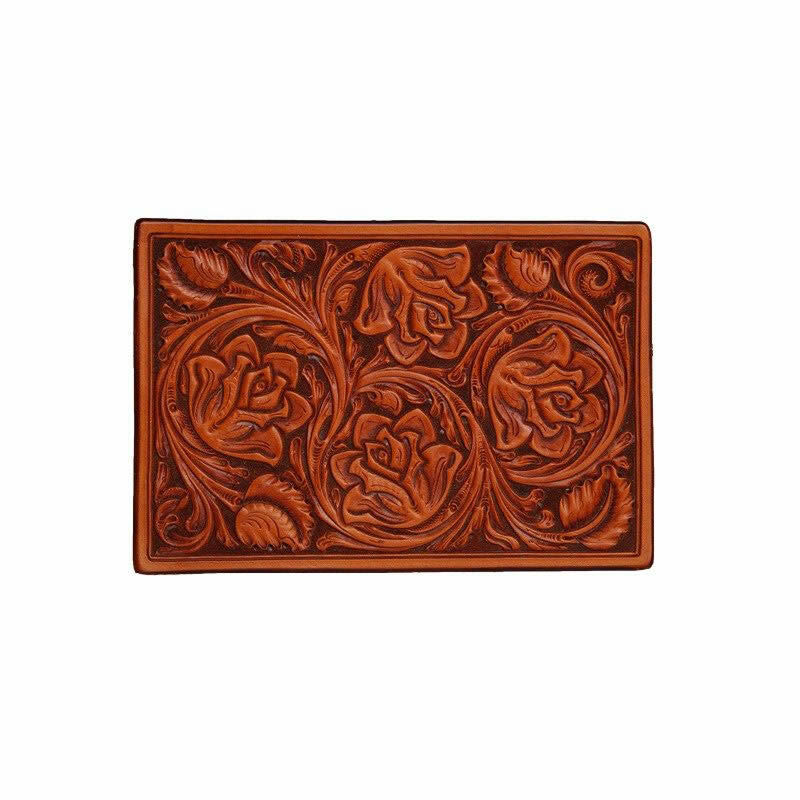 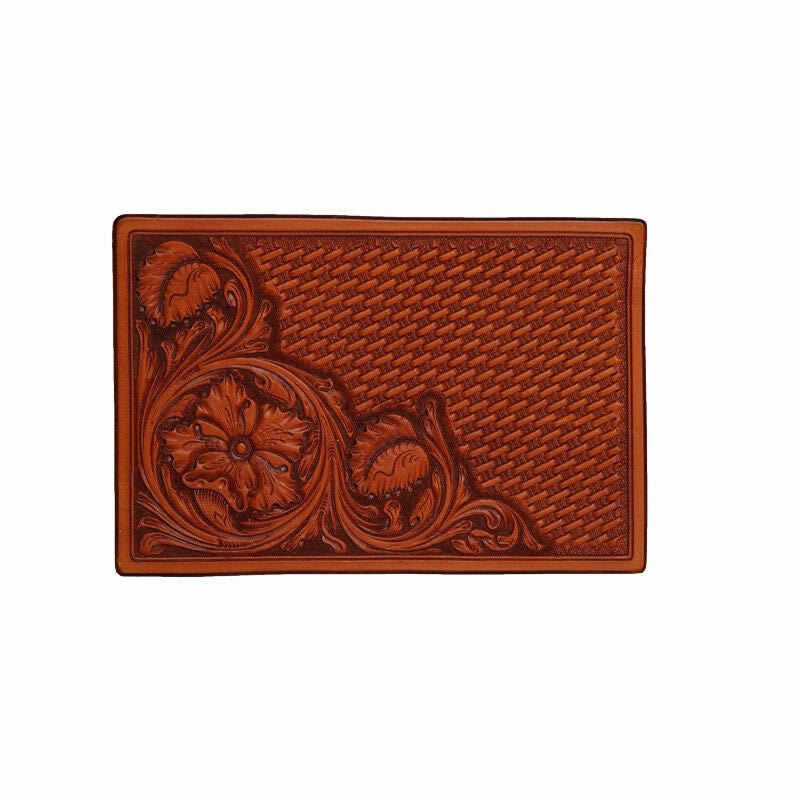 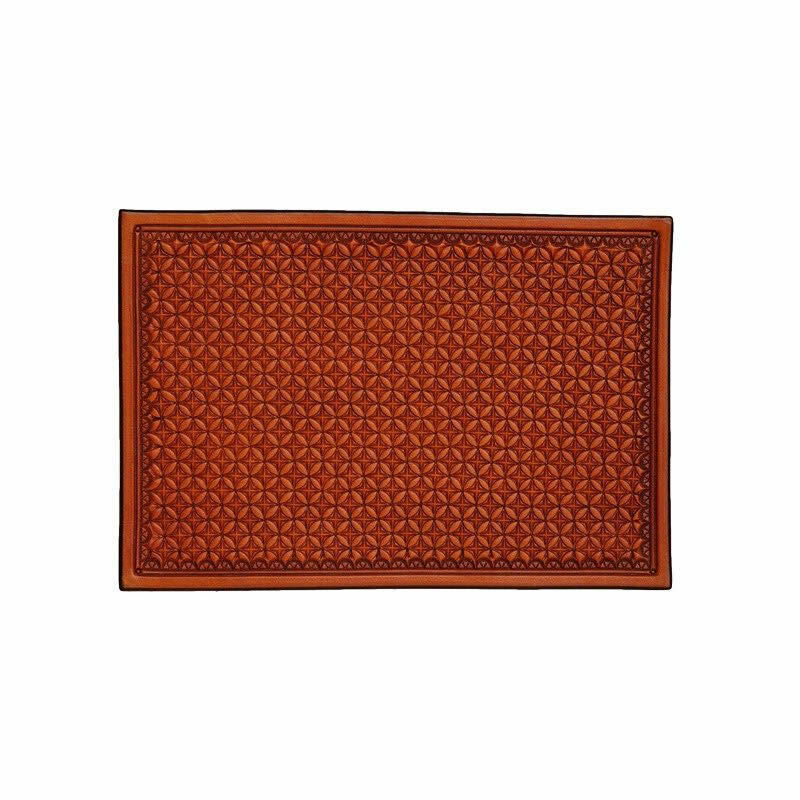 We offer many different styles of stamps and floral carving the photos of the tooled patterns depict classic Capriola patterns. 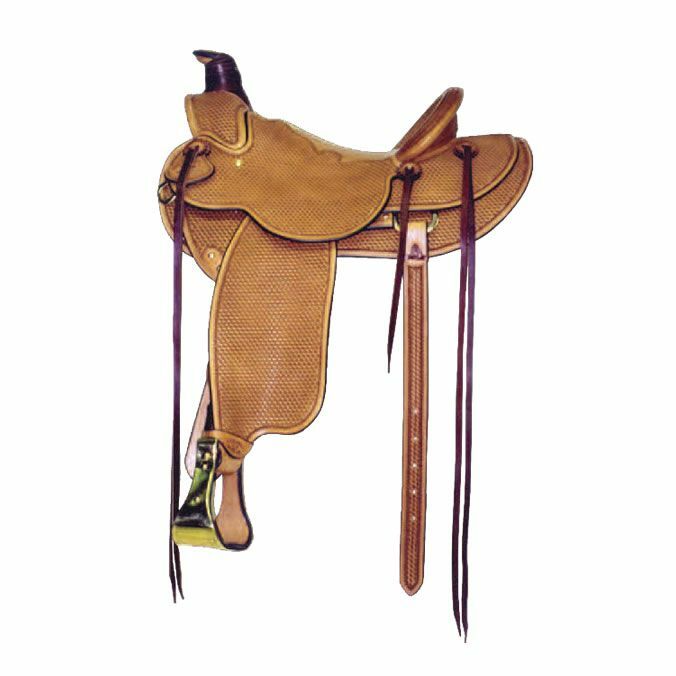 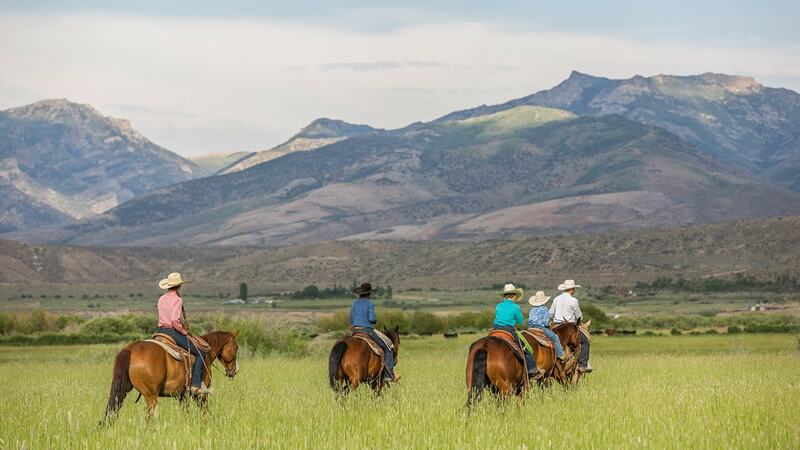 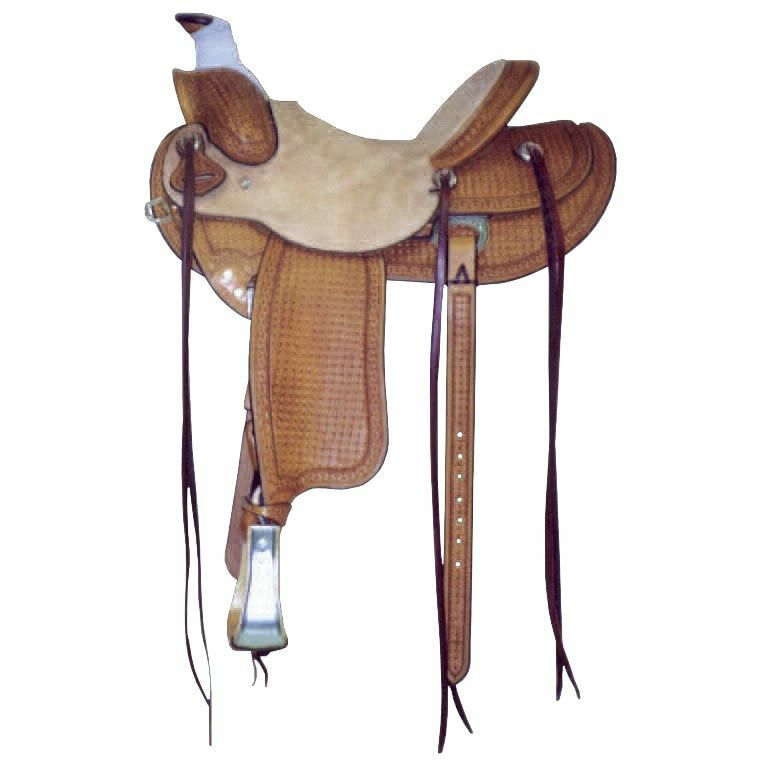 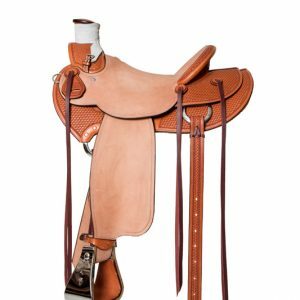 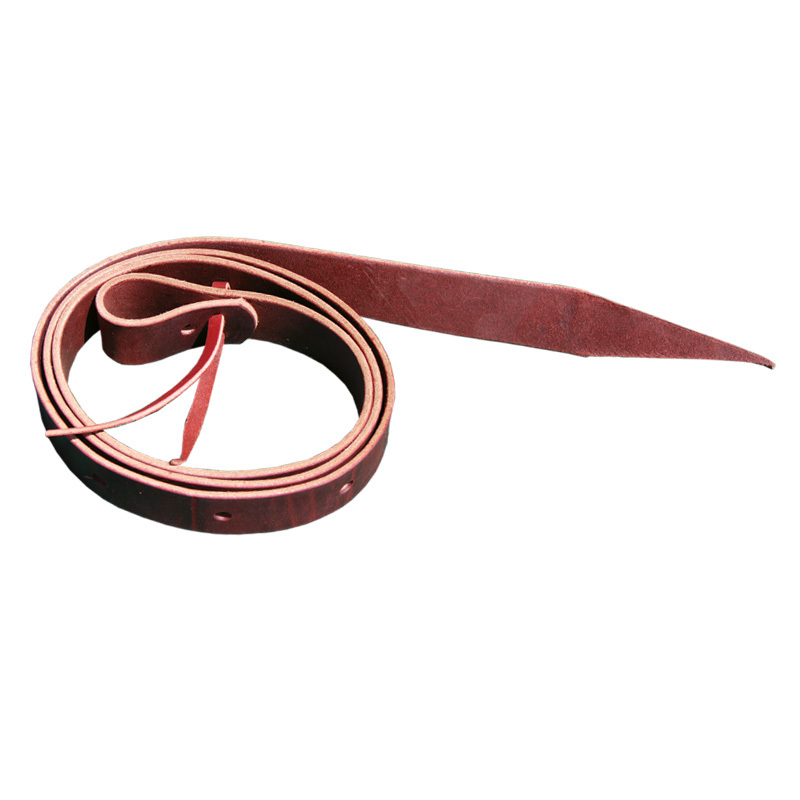 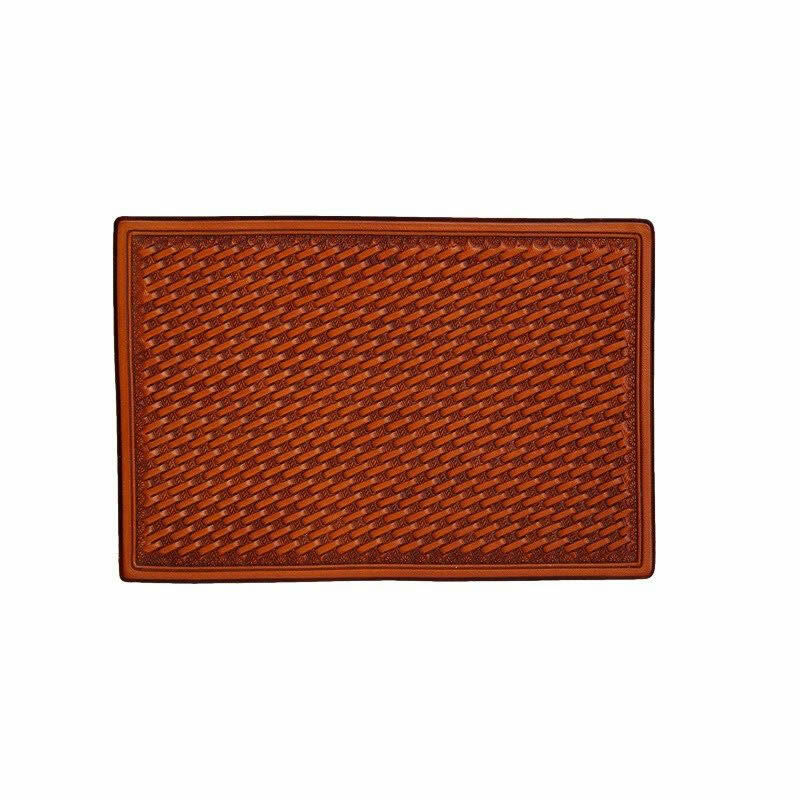 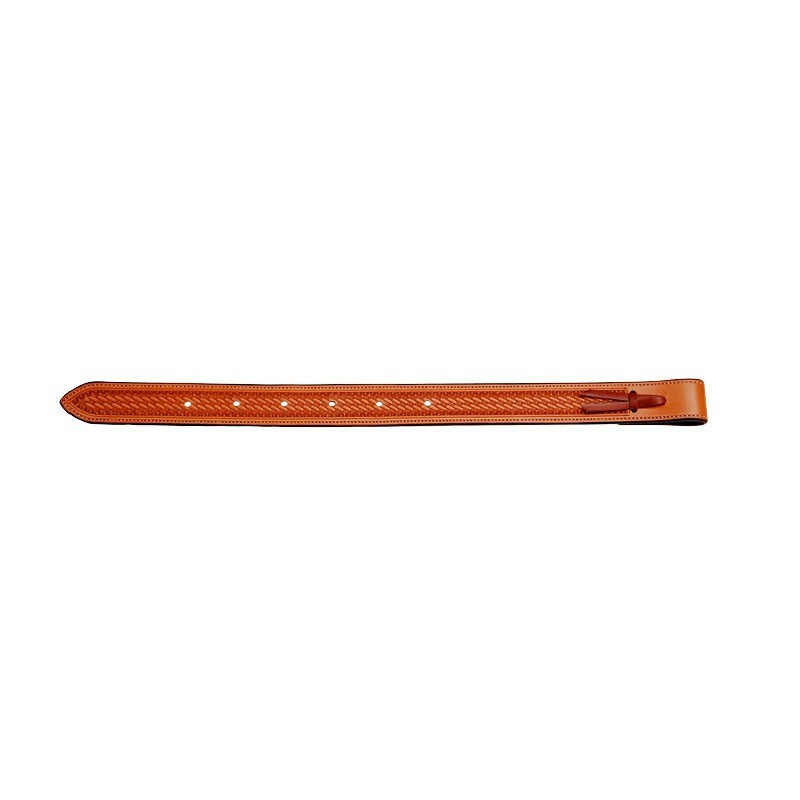 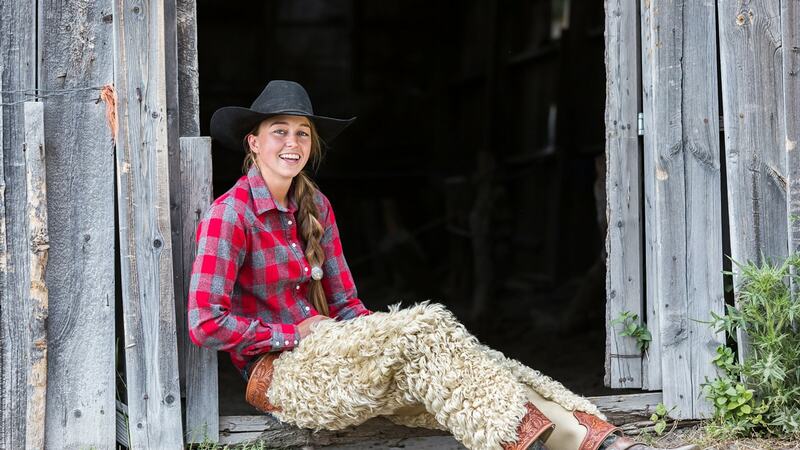 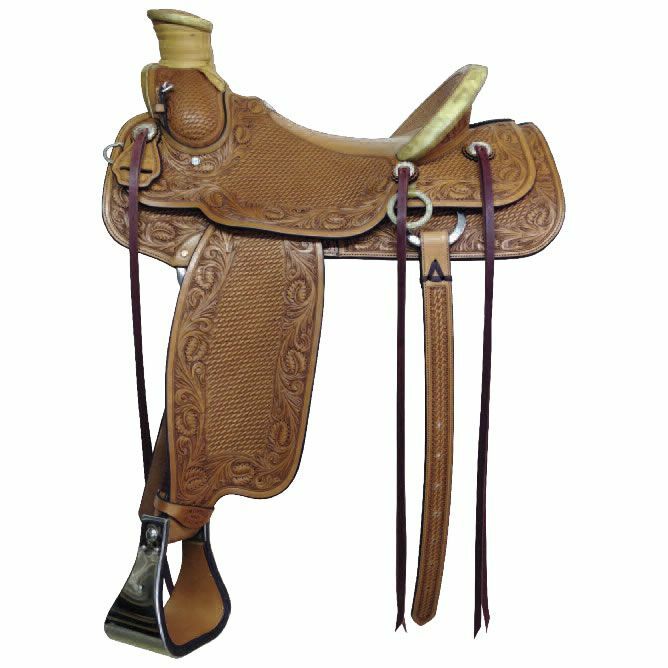 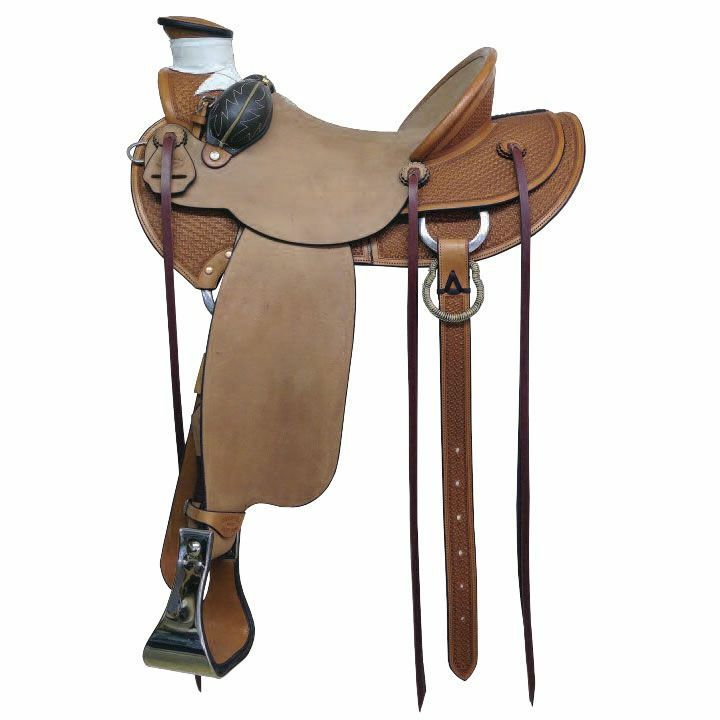 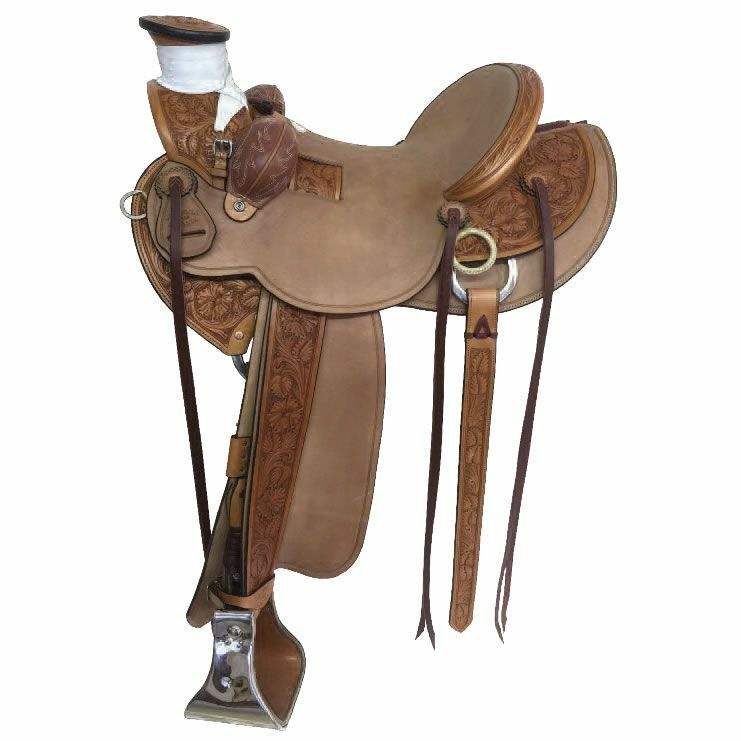 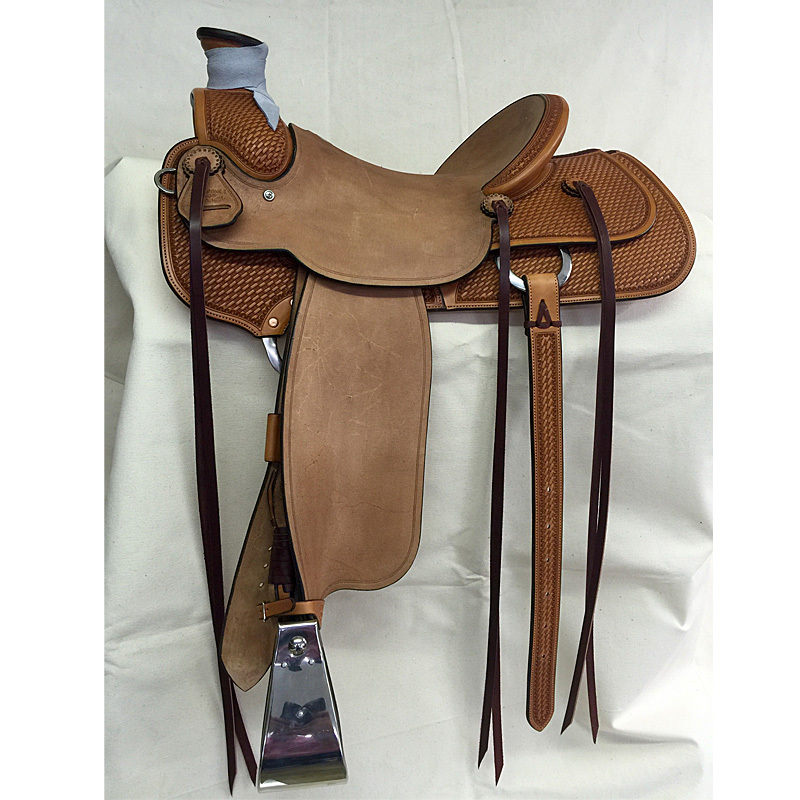 When ordering a custom saddle or leather product the client is not limited by options.